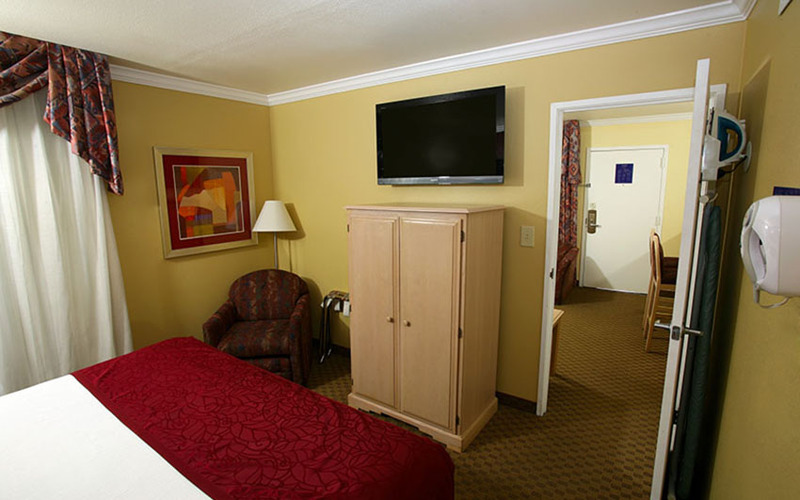 Located adjacent to the BEST WESTERN InnSuites Hotel Tucson Catalina Foothills, Village Inn serves consistently great-tasting food with prompt, extra-friendly service in a comfortable, sparkling clean restaurant. Fast, Fresh and Delicious – that’s what you can expect from Sauce. The beautiful granite community table and chef’s counter where diners can watch their food being prepared is the best place to share lively conversation inspired by great food and wine. Located in the plush foothills of the Santa Catalina Mountains, and offer breath-taking views, continental cuisine, and a “Grand Award” winning wine list. Sullivan’s is 1940′s styled steakhouse featuring the finest steaks and seafood, unparalleled martinis, and great live jazz! The bar boasts live entertainment seven nights a week and are graced with beautiful baby grand pianos, as well as high-end cognacs, single malt scotches, an incredible wine selection and a fully stocked cigar humidor. 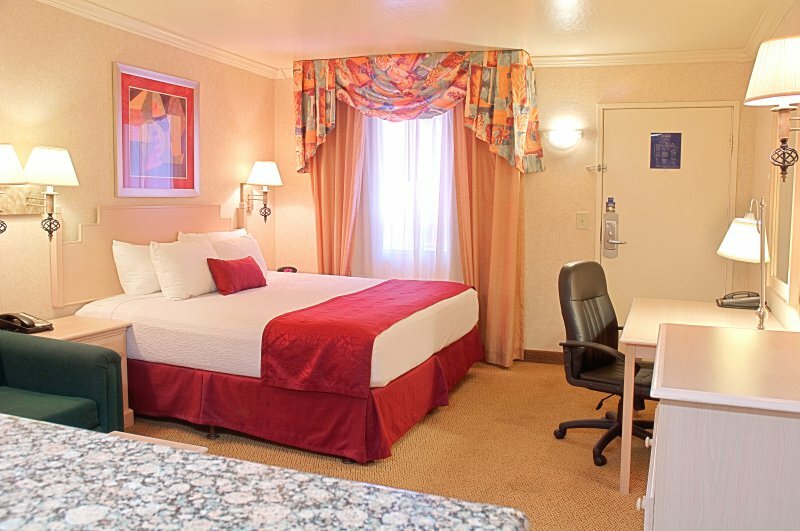 The casually elegant Gold Room overlooking the Tucson valley is a gourmet’s delight. The Chef’s culinary artistry, an extensive wine list and impeccable service combine to create a superlative dining experience. The Gold Room has received Mobil Travel Guide’s Four-Star Award, AAA’s Four-Diamond Award and Wine Spectator’s Award of Excellence. Wildflower continues to set the standard for innovative New American Cuisine featuring updated American classics with European and Asian influences. The menu changes often to take advantage of the freshest seasonal ingredients available. With over 80 wines by the bottle and 25 by the glass, Wildflower’s wine list offers an excellent range of options for both the experienced wine connoisseur and the novice. Complementing the New American Cuisine are selections from small, boutique producers in California, Oregon, Washington and Australia. The relaxed contemporary atmosphere of Wildflower’s dining room with its sun lit ceiling and inviting cranberry suede banquettes is reflected in the intimate lounge area and the lush, intimate, climate controlled covered patio. Curries, Kababs and Wraps– enjoy contemporary atmosphere and authentic Indian cuisine at this Indian Restaurant in Tucson Arizona. Tender fresh-cut steaks and prime rib cooked just right on an open fire. Heaping portions served with true western hospitality, all at a fair price. Live lobsters wriggle in a tank inside this seafood emporium, where nautical-patterned booths and colorful, fish-shaped tables in the bar area add subdued touches of whimsy to the room’s classy dark wood accents. The menu can be downright decadent, with starters of artichoke lobster dip, seafood fondue, and crab-stuffed mushrooms. Entrees feature lighter, grilled fare like mahi-mahi and Alaskan halibut, along with signature lobster dishes, snow crab legs, and jumbo fried shrimp platters. Family-owned and operated in Tucson since 1980, Las Margaritas has a reputation over the years for our fast, friendly service, affordable prices, and GREAT food! 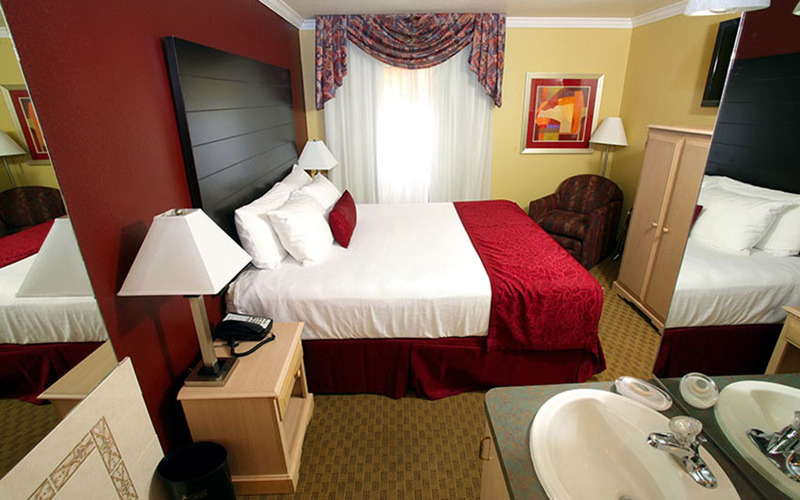 Have fun in the Arizona Southwest enjoying amazing shopping possibilities when you stay in BEST WESTERN InnSuites Tucson Foothills Hotel & Suites during your next Tucson vacation. Visit nearby Tucson Spectrum Mall and enjoy many of your favorite brands! Tucson has a wide variety of shopping choices from nationally known department stores at Spectrum Mall, Tucson Mall, Foothills Mall and La Encantada to outlets and specialty boutiques–a unique shopping experience awaits you. The Tucson area is filled with gifts, jewelry, souvenirs, clothing, footwear and specialty shops. Formerly called Westpoint Crossing, the Tucson Spectrum Mall has more than one million square feet of shopping heaven. From Best Buy and Marshalls to Target and JCPenney, Tucson Spectrum Mall has it all! There’s even a Red Lobster and a Harkin Theatre, so you can catch a dinner and a movie! Tucson Spectrum Mall is a gateway to Green Valley, Sahuarita and Northern Mexico, creating an extended trade area. The mall is also close to Interstate 19, which means there are 76,000 vehicles traveling past the mall daily. The largest shopping mall in Tucson featuring Department stores and Specialty stores. An intimate, open-air lifestyle center with extensive landscaping, upscale shops, walkways, patios and courtyards that invite pedestrian interaction. An enclosed regional shopping center tucked in the foothills of the Santa Catalina Mountains. It also features five popular restaurants, a food court, GameWorks, and a fifteen-screen multiplex cinema. Located in the Heart of Tucson’s Antiquing District. They are “the” destination of antique shoppers from Tucson and all over the world! Quality clothing and gifts for University of Arizona, featuring Nike products and many custom items available only at Campus Athletic. Serving the University of Arizona community for over 50 years. Largest selection of UA clothing and gift items as well as textbooks, and reference materials. Flying into Tucson International Airport? 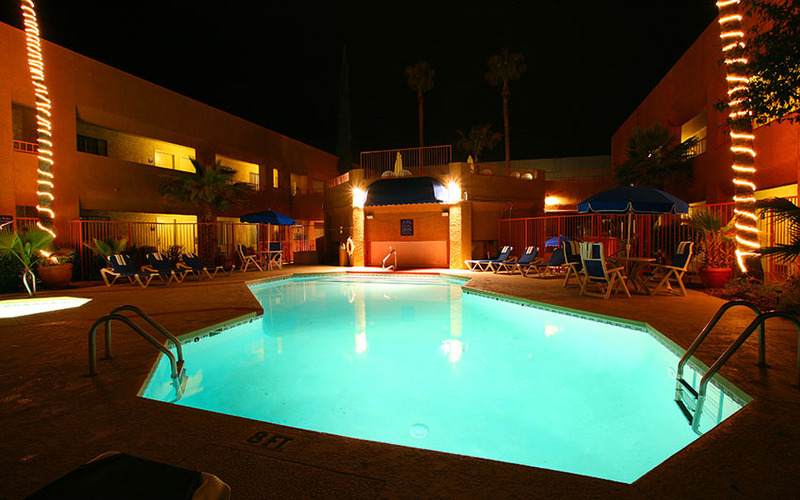 We are only about 15 minutes north of the Airport in Downtown Tucson near University of Arizona and Tucson Convention Center. BW InnSuites Tucson Foothills Conference Suite Resort is the ideal location for your meeting or conference and your corporate clients! 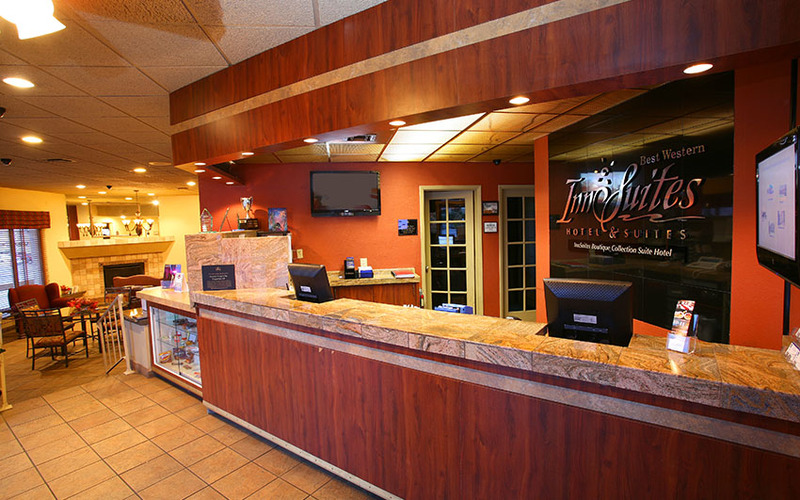 With over 14,000 feet of versatile meeting space including conference facilities for 5 – 1,500 people, our professional staff will be happy to assist you in planning every detail of your function to ensure your satisfaction at our Tucson Hotel. Tucson is a growing metropolis of 800,000 that keeps getting better and better. The city’s geography is a postcard image of cactus forests, rolling hills, and craggy mountains with National and State Parks and Forests that ring the city. Tucson is nearly surrounded by five mountain ranges, most of which are protected as city and state parks, national forest, or national park. With over 350 days of sunshine per year, Tucson is the ideal location for outdoor activities with dry warm fantastic year-round weather. Mild winters make Tucson a year-round destination. 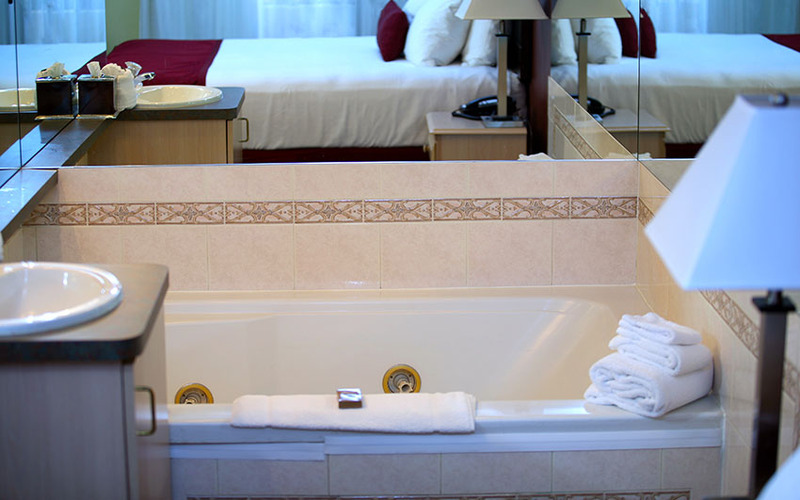 BW InnSuites Tucson Foothills Conference Suite Resort offers special group rates and discounts. To set up a rate agreement, please call our Sales Department at 520.622.3000. Tucson has been continuously settled for over 12,000 years. It celebrates a diversity of cultures, architecture, and peoples. Yet, it is one of the “Mega-Trend” cities of the 21st Century: the Optics Valley, premier health services center for the Southwest, the astronomy center of the world, home of a premier research institution – University of Arizona, and a tourism destination.